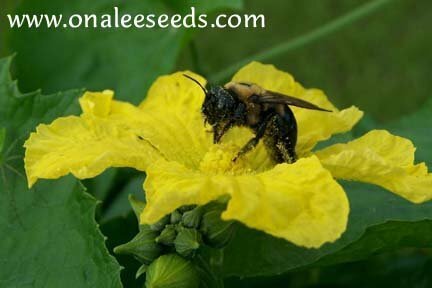 24+ Seeds (Larger Quantities also available). Grow your own sponge for exfoliating and cleaning your skin. Easy to grow! Make great gifts for friends and family, too!! While you''re waiting for your gourds, you can enjoy thelovely yellow flowers that cover these vines the entire growing season! 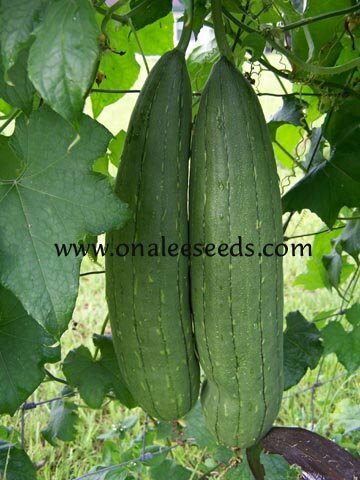 24+ LUFFA SPONGE GOURD SEEDS (Luffa cylindrica) PLUS detailed instructions on growing them and drying them. Grow your own sponge for exfoliating and cleaning your skin, scrubbing dishes, or even cleaning the barbecue grill! Great fun for children and adults, alike! Easy to grow! Make great gifts for friends and family, too!! Each vine will get up to 20 feet and needs to grow on a fence, trellis or other sturdy structure, otherwise the luffas will not form properly. Requires full sun and about 110 days to mature. Full growing instructions are included with the seeds, as well as instructions for drying them. While you're waiting for your gourds, you can enjoy the lovely yellow flowers that cover these vines the entire growing season! These are also EDIBLE - harvest when small (6-8 - any larger and they get sour) and prepare like squash or okra. Also called Chinese or Climbing Okra.